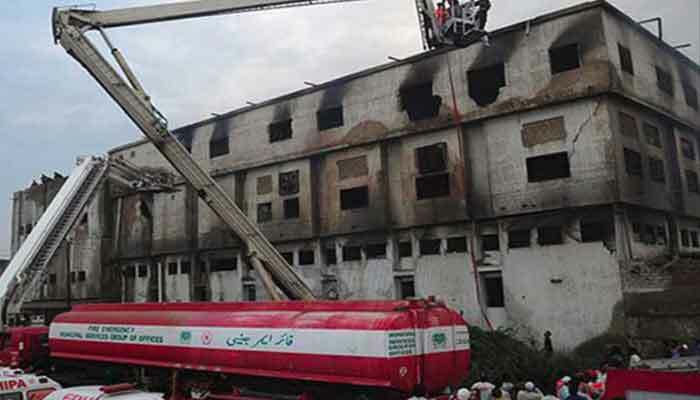 Frankfurt: A German court Thursday threw out a lawsuit by Pakistani plaintiffs against clothing retailer KiK over a deadly 2012 fire at a Karachi garment factory, saying the statute of limitations had expired. The blaze at the Ali Enterprises factory, which was started deliberately, killed 258 people in one of Pakistan´s worst industrial disasters. But a spokesman for the regional court in Dortmund said judges agreed with a court-appointed expert´s finding that the civil suit was not filed within the applicable two-year period. The European Center for Constitutional and Human Rights (ECCHR), a Berlin-based rights group supporting the plaintiffs, said it was considering appealing the ruling. "KiK was the factory´s main customer and therefore bears some of the responsibility for the inadequate fire safety measures," lawyer Remo Klinger, who represented the plaintiffs, said in a statement. KiK, which has paid over $6.0 million in compensation to survivors and victims´ families, has rejected liability for the fatal fire. "KiK evades the legal responsibility for the death of 258 people, but at least a German court was willing to look into the case in the first place," said claimant Saeeda Khatoon, whose son died in the inferno. A lack of emergency exits, fire extinguishers and clearly marked escape routes contributed to the fire´s heavy toll, according to experts cited by the ECCHR. Several men are currently on trial in Pakistan for allegedly starting the blaze. They are suspected of being part of a criminal gang that was extorting the factory´ owners. KiK, a household name in Germany, boasts on its website that it can dress its customers from head to toe "for less than 30 euros".